The company provides a daily service connection, including holidays, to and from the Airport Fiumicino and Rome Termini Station, the ride takes about 55 minutes. The single ticket costs € 5.00 for the route Fiumicino – Rome Termini and € 4.00 for the route Rome Termini – Fiumicino; and € 8.00 for return ticket. From Fiumicino Airport to Rome Termini rides start at 06.05 and end at 20.40; Atral buses leave from the airport arrivals terminal T3, where there is also a box to buy the tickets. As for departures Atral from Roma Termini these start at 07:10 and end at 21:40, the buses leave from the bus stop Cotral / Atral, taxi area, Via Giolitti. Cotral company offers a daily connection service between Fiumicino Airport and Rome Termini Station. The ride lasts about an hour. The ticket, if purchased from tobacconists or other retailers will cost € 5.00 each way; if purchased on board the cost is € 7.00. The departure from Termini station is in Piazza dei Cinquecento, in front of the National Roman Museum. The first ride is at 00:30 and the last at 17:30. 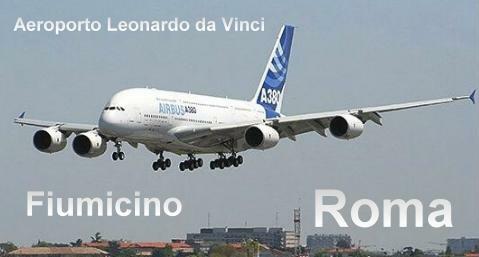 As for departures from Fiumicino Airport to Rome Termini Station these start at 01:15 and end at 19:00. The company offers a shuttle service to Fiumicino Airport in collaboration with Alivision. The buses run daily, including holidays, with a frequency of 30 minutes. The single ticket cost € 4.00 and € 8.00 is the price for the return ticket. From Termini Station, buses leave from Via Marsala 29F / G, front bar TerraCafè, the first departure is at 04:40 and the last at 21.50. From Fiumicino airport departure is outside Terminal 3, at the bus parking nr 3, the first ride is at 05:30, the last at 22:55. The company provides a daily shuttle service on the route Fiumicino Airport – Rome Termini Station, the ride lasts about an hour and departures follow one another with a frequency of 30 minutes. The ticket costs € 6.00 each way. From Rome Termini the departure is in Via Marsala, in front of Hotel Royal Santina: timetable. From Fiumicino Airport the departure is in Via Crescenzio, 2: timetable. The company Tam Ltd offers a daily service between Roma Termini Station – Ostiense Station – Fiumicino Airport. The ride takes about 40 minutes and the cost is € 6.00 each way. The first departure from Termini Station is at 4:30, the last bus is at 20:30. The first departure from Fiumicino Airport is at 08:00, the last at 23:30.